The CellChek XL specular microscope represents the latest in endothelial cell analysis, algorithms, and computer technology. Enhanced with auto-focus, auto-alignment, and auto-cell counting, the CellChek XL easily captures consistent, high quality images of your corneal endothelium using a patented method that identifies the position of the cellular interface. The CellChek XL offers five fixation points for image capture at the center and four peripheral sites, allowing a more comprehensive look at the cornea. This is particularly valuable in cases such as keratoconus | corneal transplantations, DSAEK, CXL, or the presence of corneal dystrophies such as Fuch's corneal dystrophy. 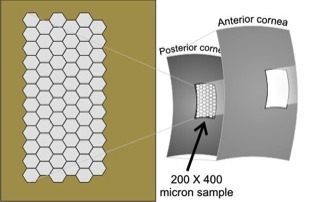 Specular microscopes are used for endothelial analysis, both for routine clinical practice and clinical research. Using non-contact optical pachymetry, the CellChek XL provides corneal thickness measurements at all five data sample sites. Now all patients over 18 years of age will have base line readings established. Standard biomicroscopy does not provide the critical detail of the earliest signs of endothelial disease even though we use Haag Streit Biomicroscopes . CellChek XK allows us 100 x more magnification. We just see every thing. Low ECD is a risk factor for cataract and corneal surgeries that can be missed without the use of specular microscopy. Change from uniform cell sizes to variable cell sizes is an indication of distress to the endothelium. 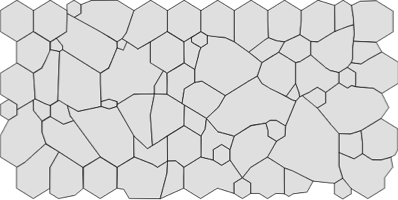 Change from optimum hexagonal cell geometry to variable / compromised cell shapes. Here the ECD is typical, but there are also large changes in morphology with high variance in cell area / sizes (pleomorphism) and a large number of non-hexagonal cell shapes (4, 5, 7 sided cells, ie. pleomorphism). A cell count without cellular morphology statistics may be misleading.